The all-new Explorer II Duffel Pack from Aqua Lung is a revolution in dive bag technology. There’s truly nothing that matches the capability of the Duffel Pack. The Duffel Pack looks like a backpack, but holds like a duffel. 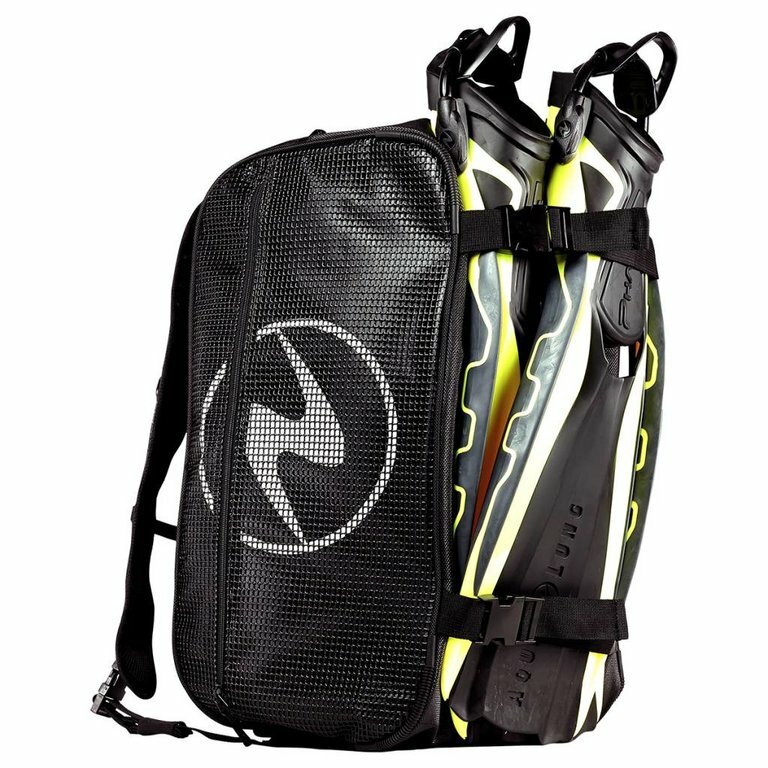 It makes for the perfect design both for the local diver looking for an easy solution to keep gear in one place, and for the traveller who doesn’t want to carry a large bag around. Made from ultra durable 1680D Polyester with PVC coating, the Duffel Pack is wear-resistant and hard-working. The main entry zipper gives access to 47 litres of room for equipment, which is also great as a carry-on. The backpack straps are packable, but also double-up as duffel straps for easy transport. The Duffel Pack is an essential piece of equipment. One of the main features of the Duffel Pack is the fin straps. Located on the front side of the pack, the fin straps are adjustable to fit any size fin. Perfect for people with longer blades who require more space! The easy-access feature works extremely well for people who are looking for a bag to keep everything in one place. The Duffel Pack was designed to house both your wet and your dry gear, making it an essential. The bag features a mesh drying pocket on one side and an organization pocket on the other. This makes the pack great for separating wet from dry, keeping dry equipment safe, as well as for drying off the wet. Organizing your equipment is made extremely easy with the Duffel Pack. Also, the bag has a special waterproof pocket on top to keep your sunglasses, phone, or other valuables safe and dry while you dive! The Duffel Pack also comes equipped with high-efficient drying technology. When you’re finished your adventure, and you’ve removed your equipment from your pack, you no longer need to wait days for it to dry. 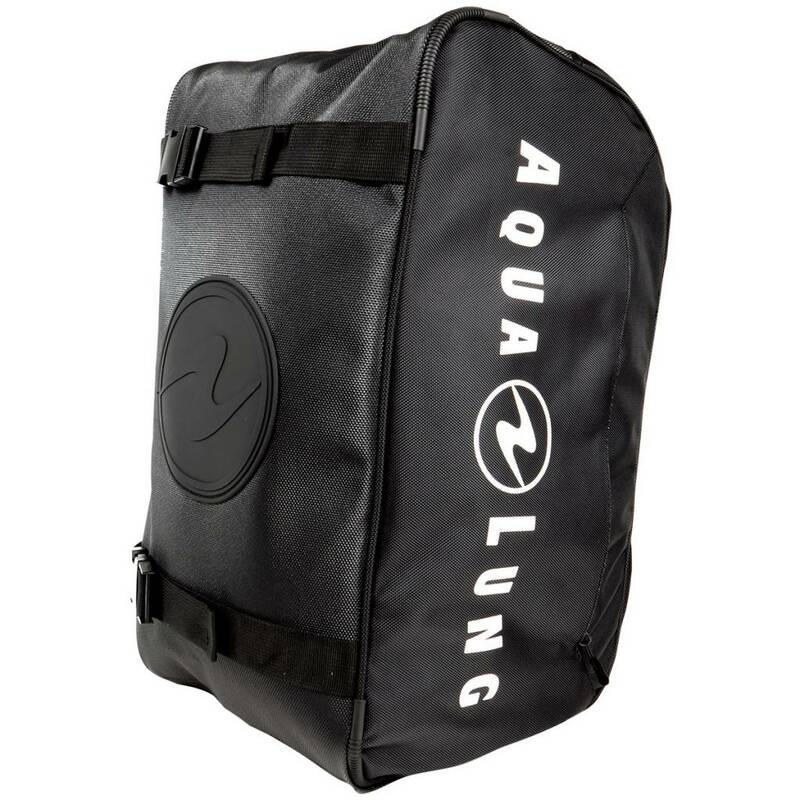 Aqua Lung’s reinvented exterior allows for a lightning-quick drying process. This makes the Duffel Pack the perfect vacation bag! Bring it along as your carry-on, and let it dry between dives to get the most out of your adventures.